Netflix (NASDAQ:NFLX) unveiled its latest quarterly earnings after hours Tuesday, amassing results that topped expectations across the board, yet a weak guidance for its current quarter caused NFLX stock to decline. The California-based online streaming service said its first quarter of fiscal 2019 yielded adjusted earnings of 76 cents per share, well ahead of the 57 cents per share that Wall Street forecasted, per the Refinitiv consensus estimate. On the revenue front, the business also beat Refinitiv’s guidance of $4.50 billion as the company raked in $4.52 billion in sales. Netflix’s domestic paid subscriber base increased by 1.74 million users during the period, topping the 1.61 million that FactSet projected in its consensus estimate. The company impressed on the international front as well, adding 7.86 million paid subscribers, more than half a million ahead of the $7.31 million that FactSet predicted. However, NFLX stock took a hit as the company unveiled its guidance for the second quarter of the current year, which missed the mark. Netflix sees its earnings as reaching 55 cents per share, below the 99 cents per share that the Refinitiv outlook calls for. The app maker added that Chief Marketing Officer Kelly Bennett will retire this year, with Chief Content Officer Ted Sarandos slated to run both content and marketing as Netflix searches for a new CMO. NFLX stock is down 1.4% after the bell on Tuesday following its underwhelming guidance. Shares gained more than 3% during regular trading hours. 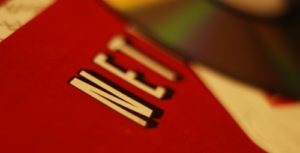 Article printed from InvestorPlace Media, https://investorplace.com/2019/04/netflix-earnings-nflx-stock-3/.